Today was wonderful. I enjoyed every moment. So I started at Wells, and my critical kit was: walking boots, craghopper trousers, trunk style underpants, goretex jacket, medium thickness socks, rucksack with waterproof trousers, binoculars, water, 2 cereal bars, penknife, money. I also thought I would keep a bird list, which turned into a no-binoculars bird list because I didn’t want to put those big boys round my neck. I headed off eastward with the wind on my back, through the first phase of the journey, in saltmarsh habitat (Wells to Blakeney). 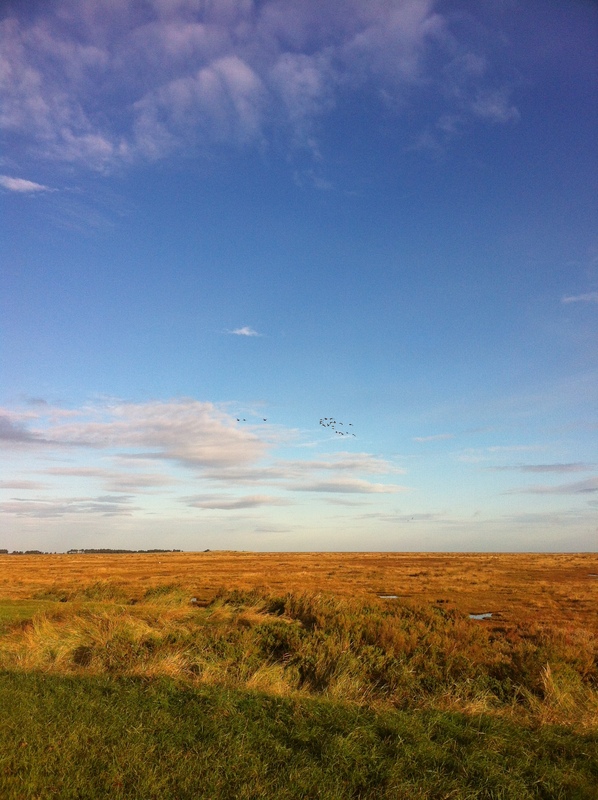 Easy walking, and I fairly bounced along, with parties of brents to my left, and flocks of lapwings to my right. At the Warham turntable, a spotted redshank flew over calling loudly. I reached Blakeney in 2.5 hours, and had a welcome stop at the deli, where the lady was nice and polite. Veg and cheese pie! When I got to Cley, I stopped in the deli there, but they weren’t nearly so nice. Guess I wasn’t wearing the right clothes, the snobs! The weather started to turn a bit squally around Cley, but actually it was quite nice to have a drop of rain. That is part of my point. It may have been training, but actually this was just going for a fantastic long walk! NWT Cley visitor centre looked bust as I swished past. After a terrific short-eared owl at Kelling, and a couple of wheatears, I decided to swap my footwear at Weybourne for sport sandals. However, I found them to be completely inadequate for walking, although they are very comfortable for everyday wear. I soon switched back after half a mile or so, but not before they had given me a small blister, the swine. I marched thru Sheringham like a man possessed, and took the beach route rather than the clifftop route to Runton, clocking a nice adult Med gull in the process. 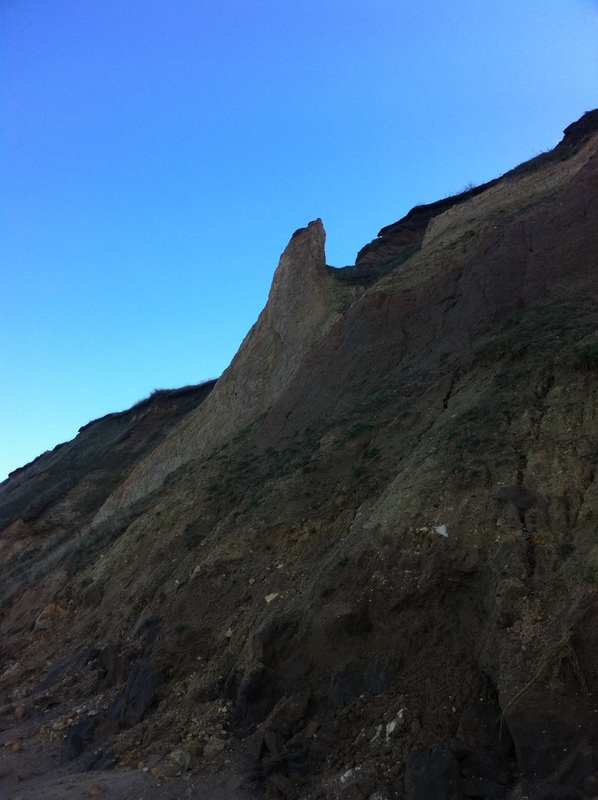 The approach to Cromer was great – cheering crowds, people shaking my hand, children asking for my autograph. Well, in my imagination, anyhow. The beach walking was quite tough, and I wouldn’t want to do too much of it. Anyway, I got there. I have never walked 25 miles in a day before, and I feel enriched and energised by today’s odyssey. Recommended! 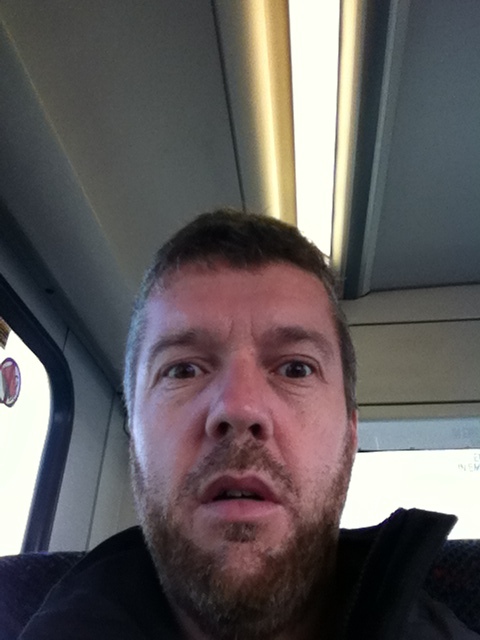 Surprised and knackered face! Lots to report since Sir Rob’s last post sharing his motivations for joining the Dove Step team. Should you have a five star (will accept four) accommodation, a summer house, or even a garden shed you would like us to sleep in then we would happily do so. In return all we’d ask for is hot food, cold beers and perhaps washing facilities? 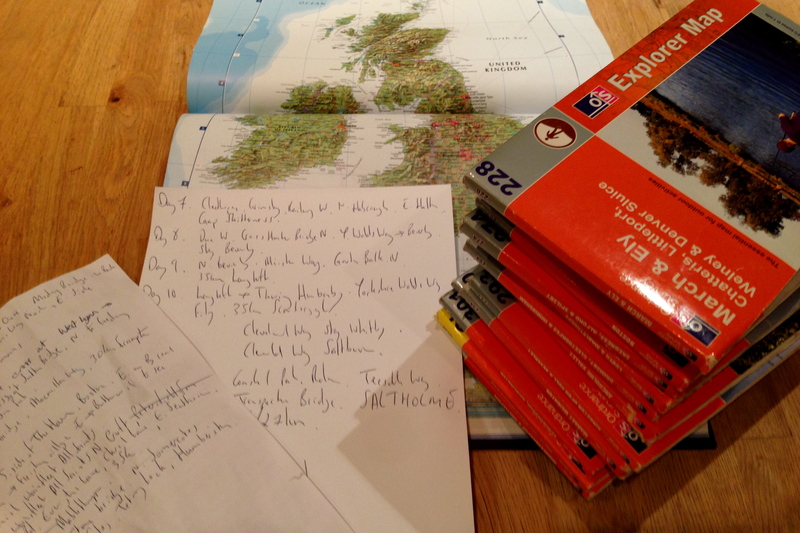 One planned route – thats a lot of maps! Seriously, aside from the RSPB reserves if you are able to recommend places to camp/ stay it would be greatly appreciated. We hope to coincide our time at the RSPB reserves with visiting hours so we can talk to people about the journey and Turtle Doves. Maybe we will see you there? 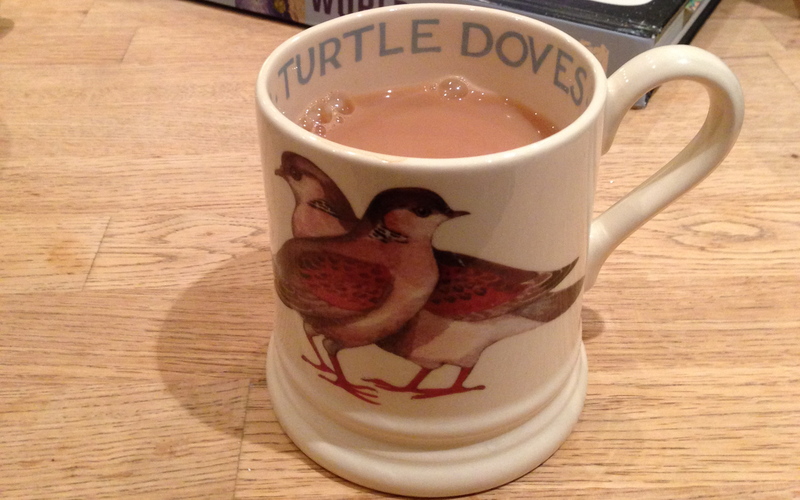 Turtle Doves – thats what its all about! 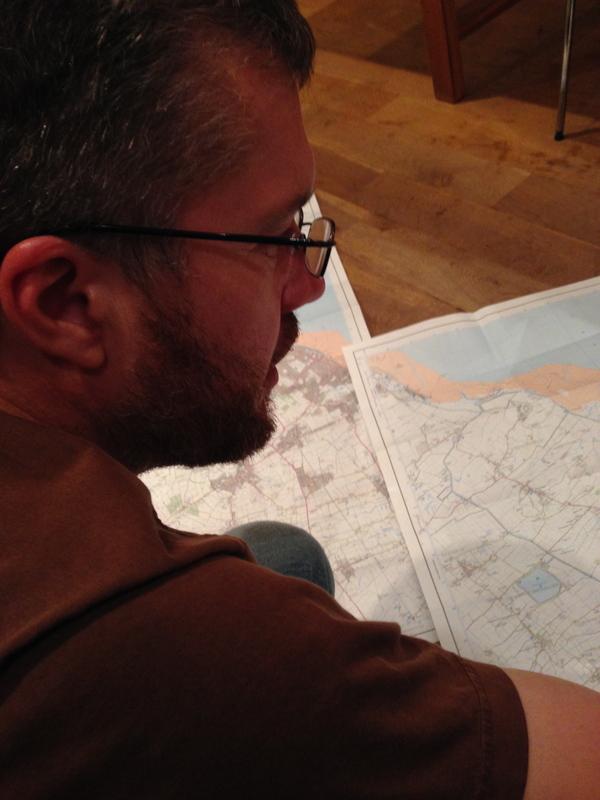 As well as pinning down the route, training has continued in earnest. We are learning lessons quickly and in many cases the hard way (blisters, chaffing, etc!) and have a big training weekend scheduled at the beginning of next month. In addition the fundraising total is rising which is really heartening, after all along with raising awareness for Operation Turtle Dove the primary aim of Dove Step is to raise funds to support the research and improved habitat so vital to halting the decline of Turtle Doves. Well, this is it. Committed. 300 miles, two feet and two good mates. This undertaking does require a level of commitment, and will, no question, involve some drama, pain, successes, failures and, well, a journey. Metaphorical and quite, quite real. First, I care deeply about the disappearance of our farmland birds. I want my children to know the churring of a turtle dove as a familiar sound as I, and my father, and his father have done. 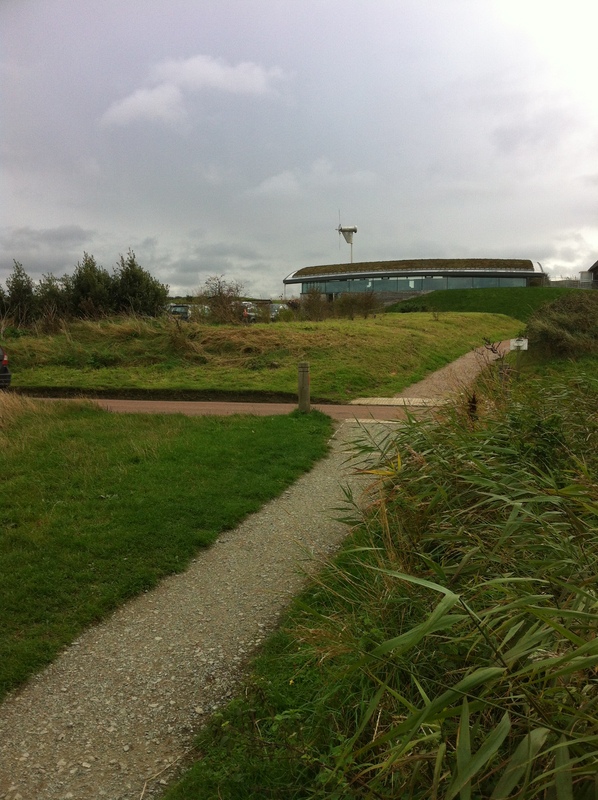 Second, as a consultant ecologist I have made a livelihood from the environment and it is time to give something back. Third, I have something to prove as afar as my personal fitness is concerned. Fourth, I want to be part of an adventure involving birds and beer with three splendid chaps, and will hereafter be known as the “untattooed one” a bit like the fellow in ZZ Top without a beard. 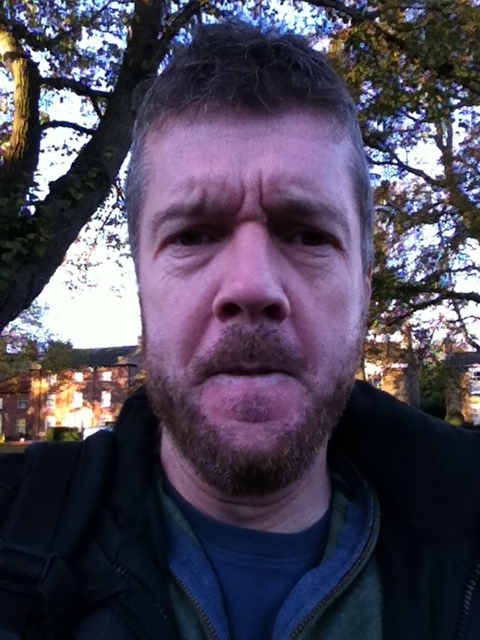 It seems to me that if I am going to walk 300 miles for charity, we are not talking small change here. From now on I will be hounding all my rich contacts for sponsorship or funding of any kind, so if you know me and have pockets full of notes, watch out I will be after you! Dove Step and BlackBar Brewery! It is with colossal excitement that I can announce the first Dove Step sponsor as BlackBar Brewery! The whole team is super excited to have secured support for such a vital aspect of the expedition; the recovery beers! If you are not familiar with BlackBar Brewery then please do check out the website and get a feel for the ethos of the Brewery via this news piece. So yes I'm supporting you and your tribe of inked birders, naturalists and others. With our passion for self propulsion and beer teaming up with a Brewery delivering beer via pedal power feels very natural and definitely cause to raise a glass! A whole hearted thank you to Joe and the BlackBar Team from the Dove Step’ers. If you would like to support Operation Turtle Dove and sponsor our trek in any way then please do get in touch via the comments function below. 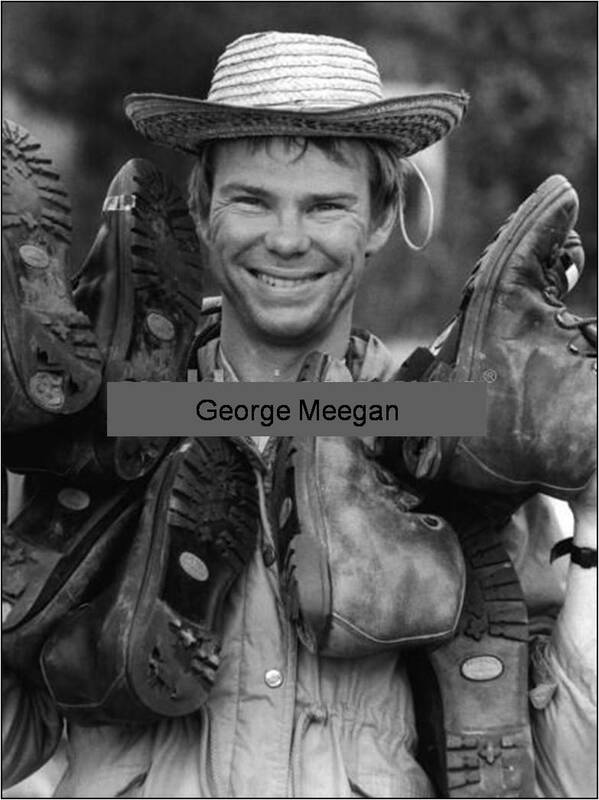 As mentioned on the Inspiration page, my hero is George Meegan. There is a multitude of reasons for this. His efforts which concluded in the year of my birth, 30 years ago resulted in eight world records that still stand three decades on. 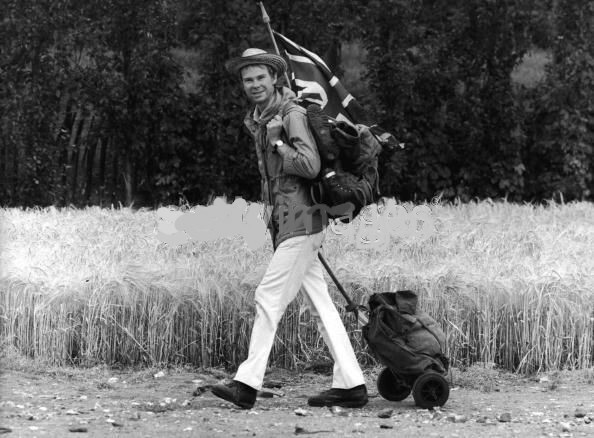 The 41 million steps George took over 19 000 miles were taken without money and alone. 1. The longest unbroken march of all time (19,019 miles). 2. The first and only crossing on foot of the entire western hemisphere. 3. The first and only crossing of South and Central America on foot. 4. The first and only traverse of all Latin America on foot. 5. The first and only walk from the Tropic of Capricorn, through the equator, to the Tropic of Cancer. 6. The first and only march between the equator and the Arctic Circle. 7. The first and only connection on foot between the Atlantic, Pacific, Southern, and Arctic oceans. 8. The most degrees of latitude ever covered on foot (125°08′). • burned through 13 pairs of hiking boots. • married his Japanese sweetheart. • traversed the ‘impassable’ Darien Gap. • visited former President Jimmy Carter at his home. • got shot at, and chased by a one-legged gaucho. • garnered 8 World Records. He did not have the seven figure, social networked support of would be record breakers these days. 1. It is 30 years today that you completed ‘The Longest Walk’. What is your favourite memory from this time? Johnny, its a million things, every day presented its own magic. Very often a single word triggers a cast back. Let´s for example use the word “trigger” Moving late, it was pitch dark an in the Honduras border region with El Salvador. I am suddenly rolling on the road with a soldier who I had simply walked into. As we thrashed about I heard the safety catches click off the rifles of those about. The final denouncement was they would not shoot me as they usually do. Me at the time I didn´t especially care. I was after all living my dream. 2. You have eight unbroken records how does it make you feel that these have remained unbroken for three decades? It´s a strange thing – A blonde English lass took the distance one, but it turned out she sadly cheated, so my thing held. I see [it] as marking one’s identity on the tree of life. Like most high achievements, if I may, they are hugely misunderstood as to actual meaning, in the public at large. Olympic great Willie Banks says “to get a (world) record you have to go to the edge of Life.” Willie was a triple jumper! 3. You walked a further 500km to Barrow, Alaska back in 2000. Why was it important for you to go back and complete this journey? Because I never finished. Even now I have the odd mile or two [to walk], for some project, because the spirit of the thing allows that. What an adventure those 500 were! I put it down in a little self-published book … and I lived! 4. Are there any further walks you wish to complete? If so where and why? Johnny B. Goode! I am 60 years old and all systems are in decline. But I still don´t drive a motor car and so walk about in the Ecuador sun – more memories of course. 5. What is your best advice for long distance walking and the Dove Step participants? You still have your Youth, which is a rapidly diminishing asset. Embrace the feeling of being really ALIVE! I thought it was about time I gave a little update on my training progress for Dovestep! I am without a doubt the fattest member of the team, so reckon that means I’ve got to train that bit harder! So in the last four weeks I have done some high altitude training in the High Caucasus and ran two half marathons! Okay, so the high altitude training was not actually planned purely for Dovestep; it was a fortuitous opportunity as I was attending the Batumi Bird Festival! Beautiful scenery and epic birding ensued! The walking was brutal (especially carrying 25 kg + in my back-pack), in fact even sleeping at around 2,900 meters asl gave me an epic cardio work out! During my visit to Batumi I saw good numbers of Turtle Doves migrating; the sad fact was that these were the first Turtle Doves I had seen this year! Perhaps even more poignant was one that I found shot dead on the nearby delta. This is a species that is under so much pressure from all angles………we could lose this species globally within our lifetime if we don’t do something about it! With these experiences firmly in my mind I have packed in two half-marathons in the past three weeks! Yay…finished the Great Cumbria Run (and got a PB)!